In the online game Lineage, you can "enchant" in-game items to enhance them. If you're unsuccessful, though, the item perishes. In South Korea, one gaming granny tried to enchant an extremely rare sword, but failed. So she sued the game's maker. According to Inven (via tipster Sang), a 64 year-old woman sued NCsoft earlier this spring over a lost Lineage item. She had acquired the incredibly rare Jin Myung Hwang's Conduct Sword (진명황의 집행검), which can apparently fetch the 30 million won (US$28,000) in the resale market. The woman claimed that she accidentally tried to enchant the sword, adding that she would never actively try to enchant the item. Doing so, she claimed, would risk its destruction. Instead, she was trying to enchant a cheaper item, but instead enchanted Jin Myung Hwang's Conduct Sword. After NCsoft refused to restore the item, she filed suit. 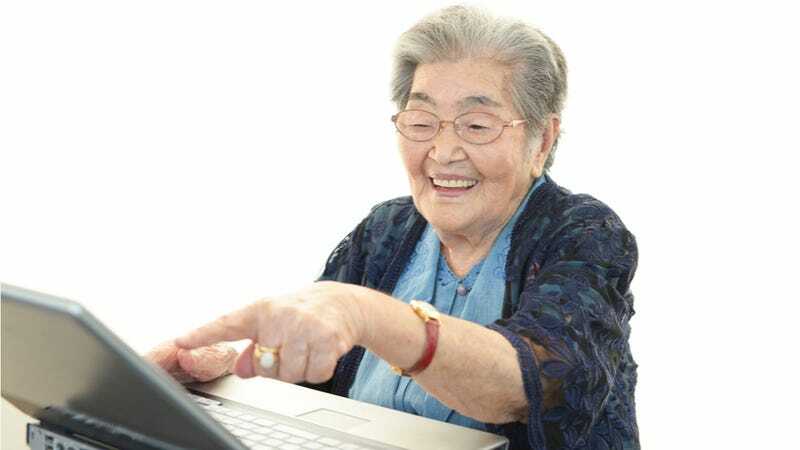 However, the court showed that the gaming granny's game log revealed she continued to enchant other items after failing to enchant the rare sword. There were also records of her failing to enchant other items as well as purchasing an in-game scroll to increase her enchanting abilities. "Other items were enchanted along with the item in question so it is hard to rule out that losing the item was an isolated case," said the court. The court added that even if this were a mistake, NCsoft does not bear the responsibility to restore her item. Seems this gaming granny's desire to enchant the legal system also failed.